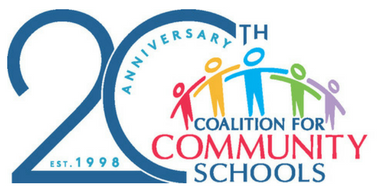 CINCINNATI, OHIO, May 23, 2018- The Together for Students initiative, created by three national, education-focused nonprofit organizations - the Coalition for Community Schools, Communities In Schools, and StriveTogether - today recognized 10 communities for plans bringing key community members together to support the needs of local students. Each of the 10 selected communities will receive approximately $150,000 to support the activities and goals set forth in their collaborative plans. "It's extremely exciting to be working with and learning from communities that are committed to using what they have to create the conditions, climate, and culture necessary for learners to achieve their dreams.," said José Muñoz, director of the Coalition for Community Schools. "Our schools succeed when communities come together to address the underlying issues facing our learners and their families." "These communities are uniquely positioned to grow their programs that are already closing achievement gaps, while engaging with broad groups of community organizations and outlining solid goals," said Dale Erquiaga, Communities In Schools president and CEO. "With these awards, they will be able to build out their efforts to reach even more students on their paths to careers." "This initiative highlights what can be accomplished when collaboration brings the right partners together to focus on the needs and interests of every child in a community," StriveTogether President and CEO Jennifer Blatz said. "These communities have begun to create a more equitable education system for children to succeed despite challenges. We look forward to seeing how they extend their reach for the optimal student-centered learning environment." With support from the Chan Zuckerberg Initiative and the Ford Foundation, the three organizations launched Together for Students to advance student-centered learning. Under their vision, the needs of every individual student are carefully considered and provided for, from health, food and shelter to high-quality mentoring and enrichment activities. Together, The Coalition for Community Schools, Communities In Schools and StriveTogether are leading a movement that unites families, educators and local partners, with their combined networks totaling nearly 300 communities. Working directly in more than 2,350 schools in 25 states and the District of Columbia, Communities In Schools is the nation's leading dropout prevention organization proven to keep students in school and on the path to graduation. For the 2016-2017 school year, Communities In Schools served nearly 1.6 million students and successfully helped 99 percent of our case-managed students stay in school. StriveTogether leads a national movement of nearly 70 communities to get better results in every child's life. We coach and connect partners across the country to close gaps by using local data, especially for children of color and low-income children. Communities using our proven approach have seen measurable gains in kindergarten readiness, academic achievement and postsecondary success. The StriveTogether Cradle to Career Network reaches 10.4 million students, involves 10,800 organizations and has partners in 30 states and Washington, D.C.